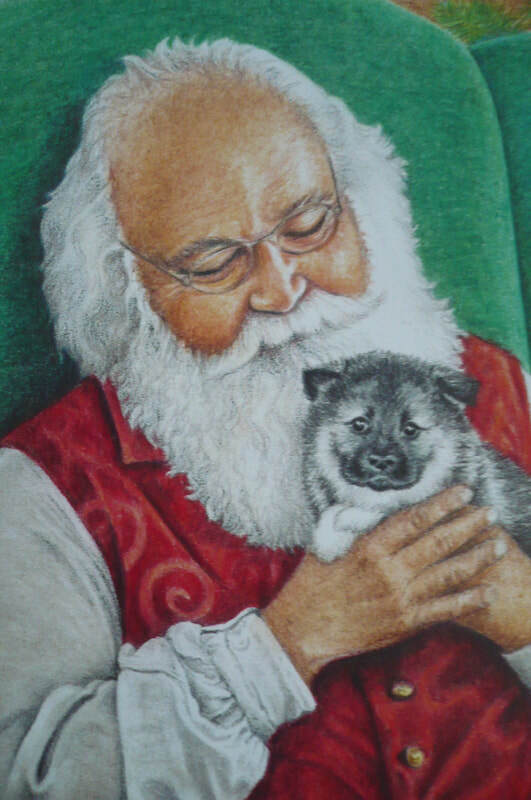 Santa Claus is just too wonderful for me to pass up doing a portrait of each year. Here are the ones I have done in the last few years, which then become prints and cards that I send to family and friends at Christmas time. Each one of these originals are in my possession. 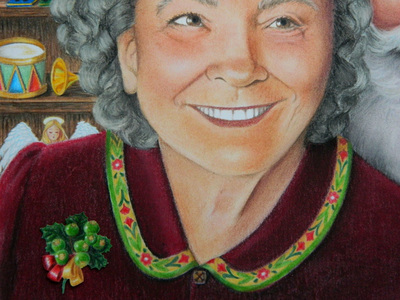 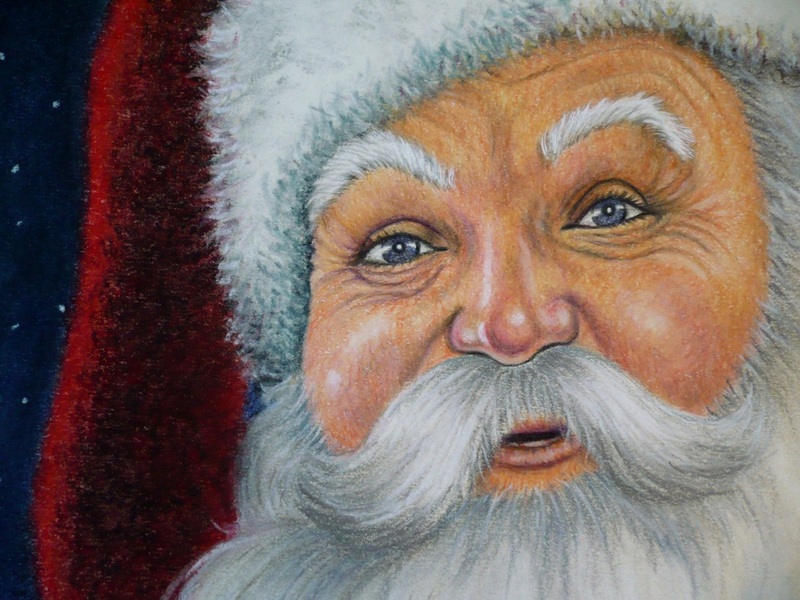 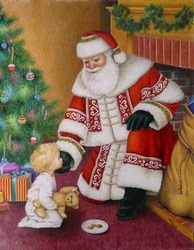 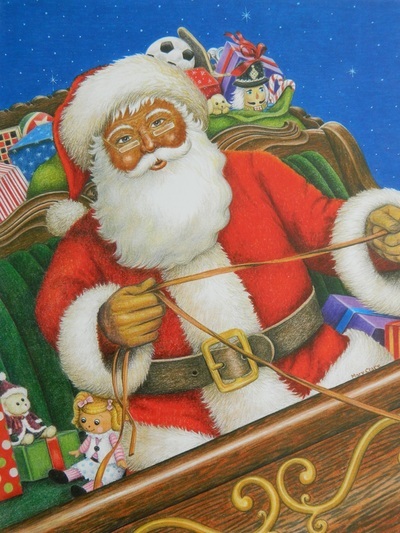 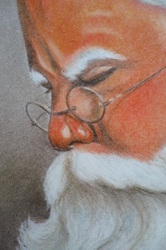 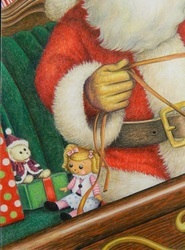 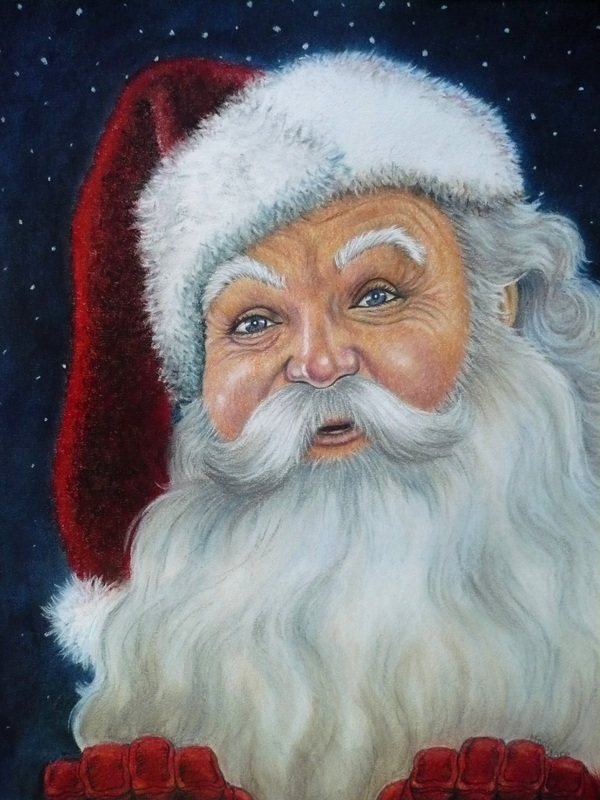 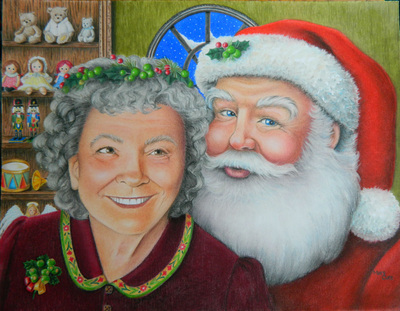 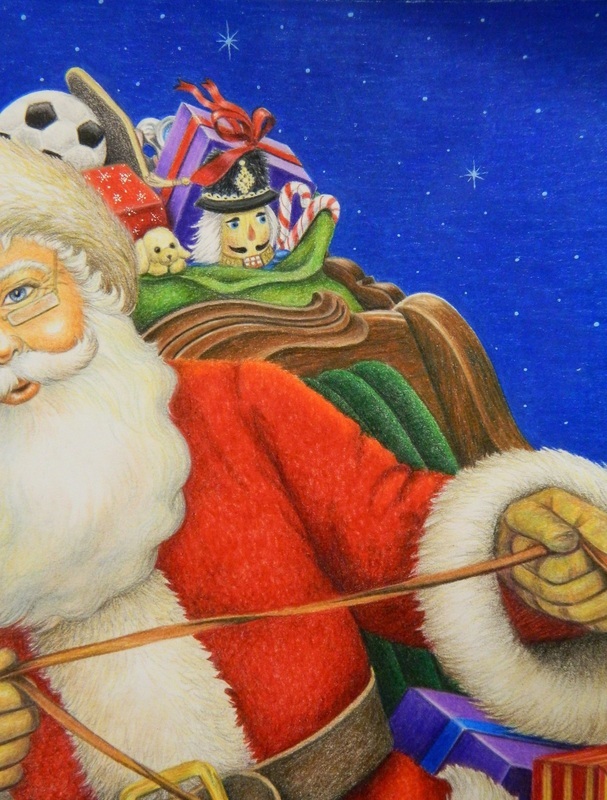 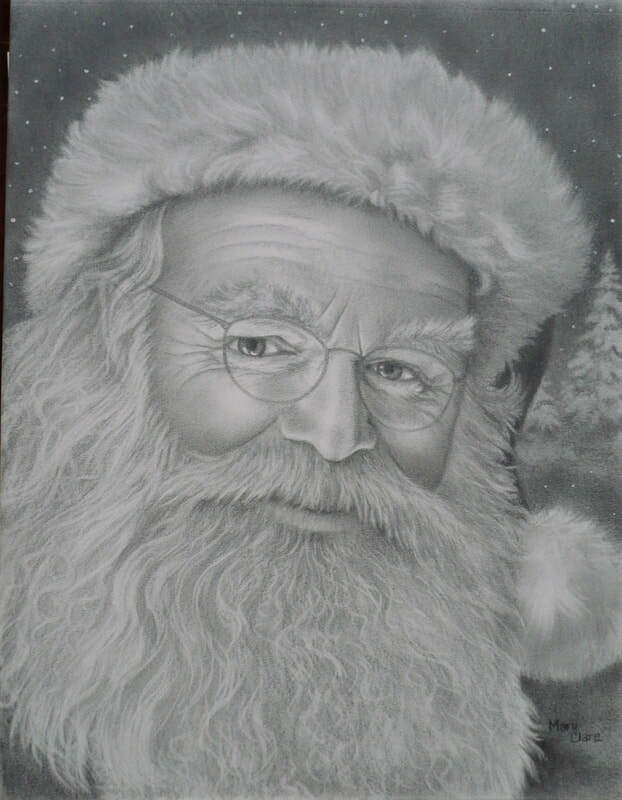 I do not wish to sell original works of my Santa Claus portraits. I do, however, sell full sized prints of them and sets of cards. 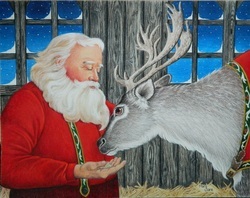 Contact me at clarejc7906@yahoo.com if you are interested in displaying one of these at Christimas time! 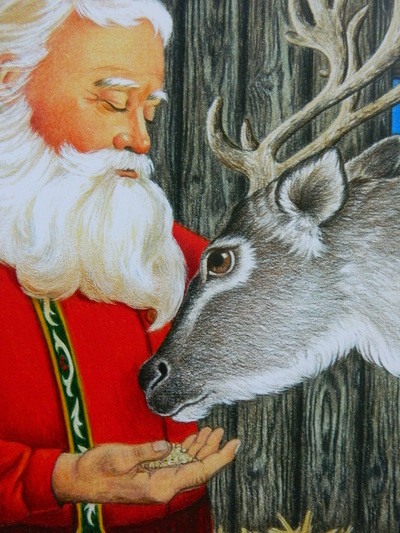 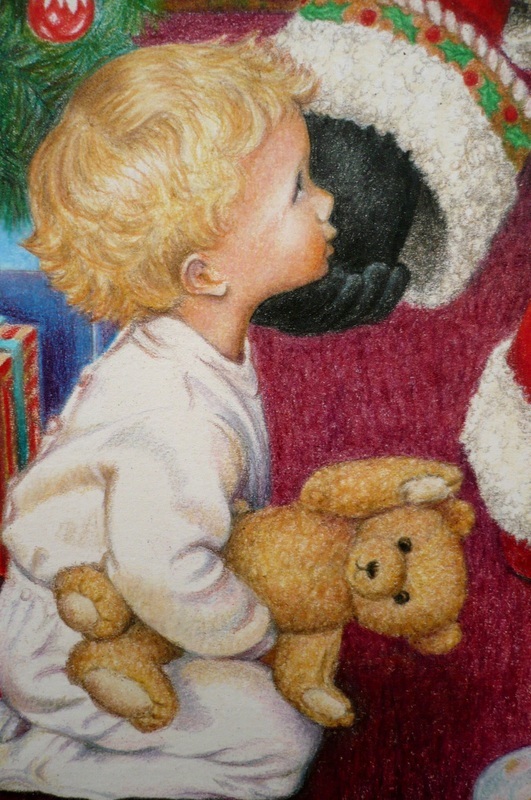 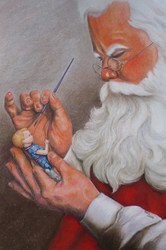 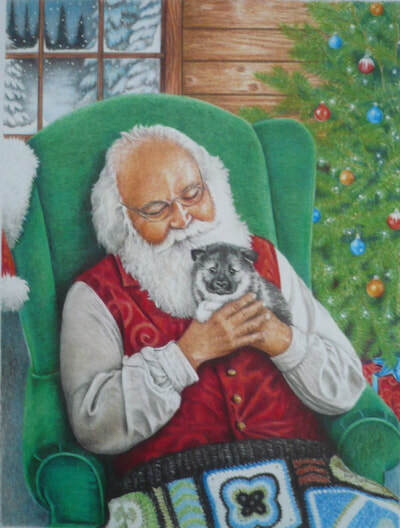 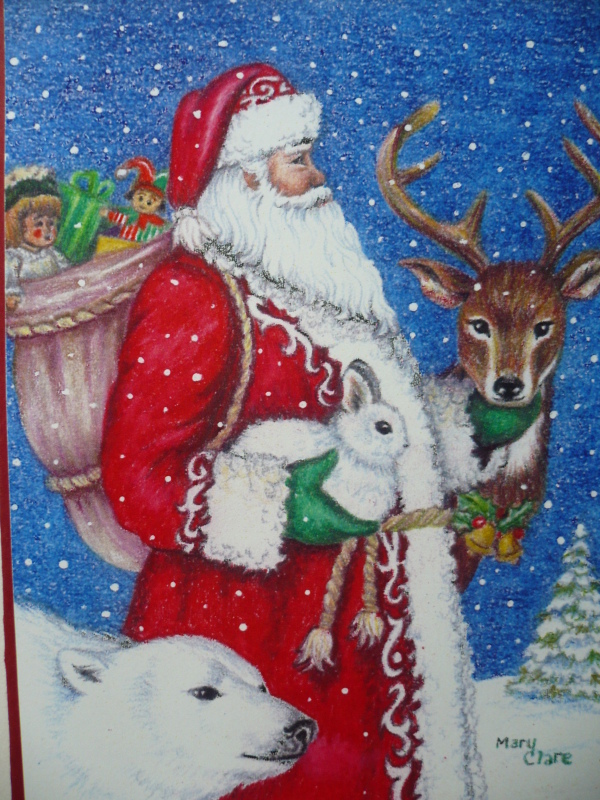 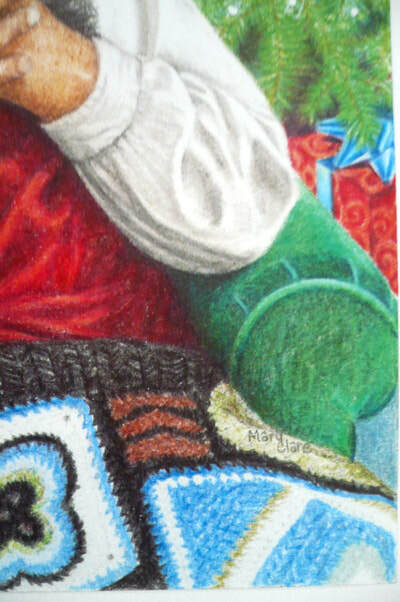 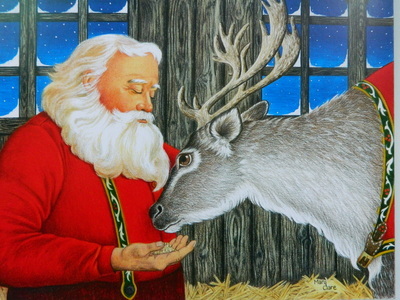 This is my Santa Claus portrait from 2012 the I call "Prepping Prancer". 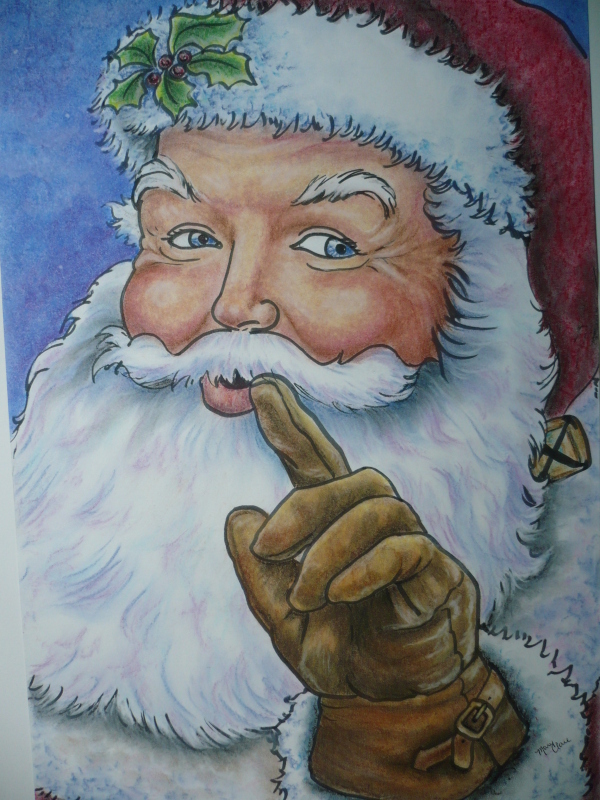 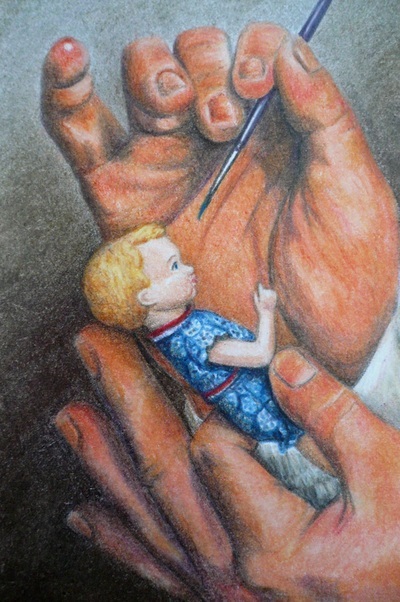 This was done mainly in Prismacolor pencil and then touched up in places with a bit of white acrylic paint.